Add a touch of beauty from the sea with this Starfish Locket to dress up your summer wardrobe this year. Real branches cast in sterling silver make up the circlet that holds a slightly bowed glass enclosure. 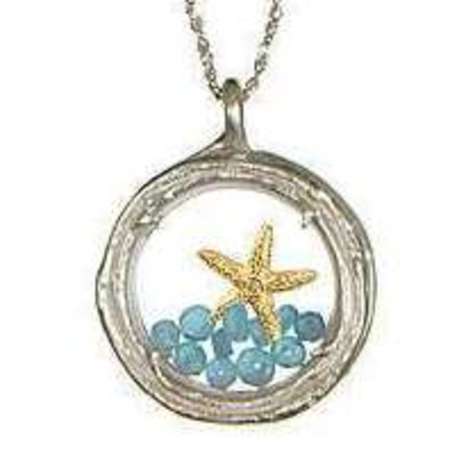 Inside tiny blue topaz gemstones and a miniature 18-karat vermeil starfish float freely as you move. Handmade in Hawaii by artist Catherine Weitzman as an enchanting tribute to nature. The locket is also available in bird design with rubies. Magnetic closure. For more information or to order, click here.